HERE YOU WILL FIND OUR 4-BOLT HUBS, HUB ASSEMBLIES, AND THEIR PART NUMBERS AND CORRESPONDING COMPONENTS FOR ALL OUR 4-BOLT HUBS WE CURRENTLY SUPPLY.. HERE YOU WILL FIND OUR 5-BOLT HUBS, HUB ASSEMBLIES, AND THEIR PART NUMBERS AND CORRESPONDING COMPONENTS FOR ALL OUR 5-BOLT HUBS WE CURRENTLY SUPPLY.. HERE YOU WILL FIND OUR 6-BOLT HUBS, HUB ASSEMBLIES, AND THEIR PART NUMBERS AND CORRESPONDING COMPONENTS FOR ALL OUR 6-BOLT HUBS WE CURRENTLY SUPPLY.. HERE YOU WILL FIND OUR 8-BOLT HUBS, HUB ASSEMBLIES, AND THEIR PART NUMBERS AND CORRESPONDING COMPONENTS FOR ALL OUR 8-BOLT HUBS WE CURRENTLY SUPPLY.. HERE YOU WILL FIND OUR 10-BOLT HUBS, HUB ASSEMBLIES, AND THEIR PART NUMBERS AND CORRESPONDING COMPONENTS FOR ALL OUR 10-BOLT HUBS WE CURRENTLY SUPPLY.. HERE YOU WILL FIND OUR 20-BOLT HUBS, HUB ASSEMBLIES, AND THEIR PART NUMBERS AND CORRESPONDING COMPONENTS FOR ALL OUR 20-BOLT HUBS WE CURRENTLY SUPPLY.. HERE YOU WILL FIND OUR R.V. HUBS, HUB ASSEMBLIES, AND THEIR PART NUMBERS AND CORRESPONDING COMPONENTS FOR ALL OUR R.V. HUBS WE CURRENTLY SUPPLY.. HERE YOU WILL FIND ALL OF OUR SPECIALTY HUBS. 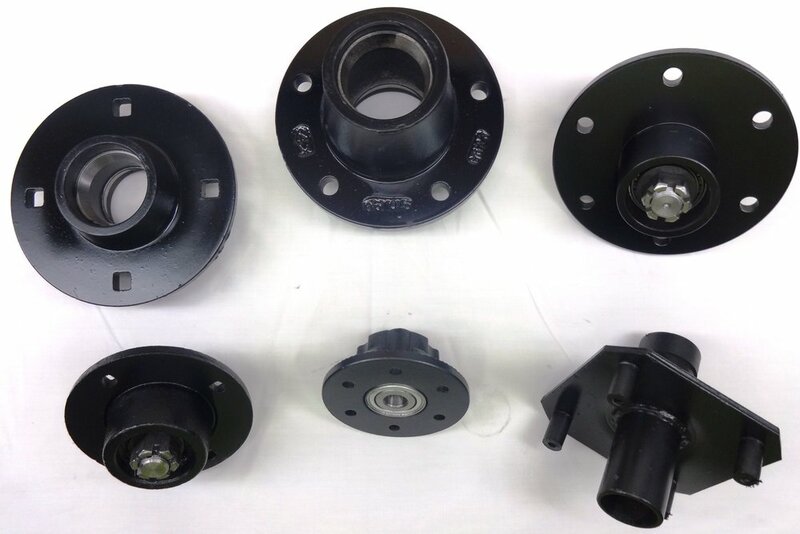 SUCH HUBS AS OUR MILITARY, COULTER, HAY RAKE, SEALER AND ROW MARKER HUBS, AND OUR TAIL WHEEL HUBS. AS WELL AS OUR, HUB ASSEMBLIES, AND THEIR PART NUMBERS, AND CORRESPONDING COMPONENTS FOR ALL OUR SPECIALTY HUBS WE CURRENTLY SUPPLY..